Hipster much? The moment I saw this t-shirt I knew it had to be mine. Well, I actually bought one for my sister as well, so I guess it had to be ours. 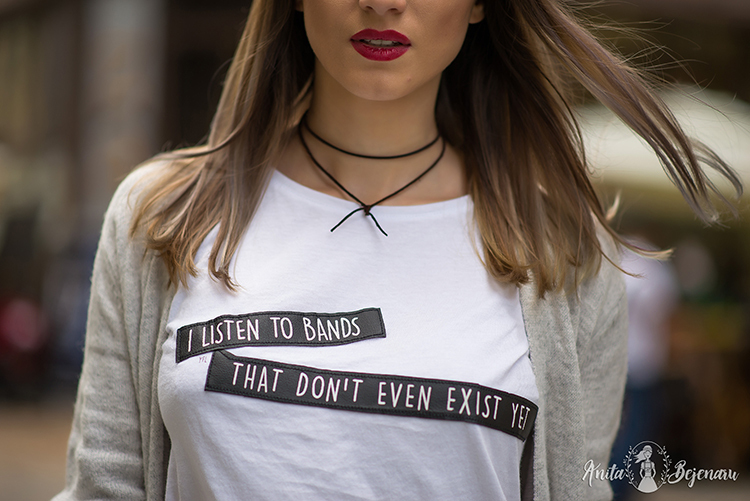 We're not really into anything mainstream when it comes to music and we're always on the lookout for the next cool band nobody's heard of. yeah. we're cool like that! But that's not exactly what I wanted to talk about here. With so many photographers present at the latest edition of the Fashion Fridays Fall Fair, a photo shoot was bound to happen. 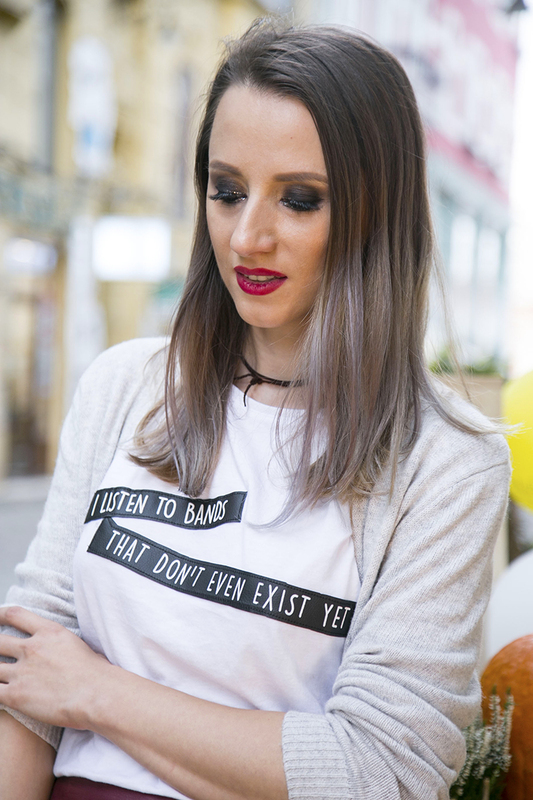 As I was telling you in my previous post here, I had my makeup done by Denisa with Urban Decay products, and I was over the moon excited with the result. The makeup was originally intended for another outfit created by a local designer (photos are coming soon), but I thought it complemented my outfit as well. It gave my look a lot of edge and some rock and roll attitude. I am not used to wearing this much makeup during the day but it doesn't hurt to try it once in a while. Your tee is so fun. I love how you styled it. Ain't no party like a Stylish Circle Party!